Articles that talk about Wordpress. And it has opened enrollment for the Basic course WordPress to be held in Olot on 11 and 12 April. This course is intended for those who want to learn how to install a WordPress in a domain and how a website is created from the content manager. As the title suggests, the course is basic, ie not require prior knowledge or programming or wordpress. This course will be continued in June, with an advanced version in which both students basic as those who wish to enroll directly in advanced, will be able to finish the last session with your corporate website, functioning and the content created. This is the general aim of the course: leave class with a corporate website 100% complete and functional. At the request of various Masters students at UAB, I finally decided to impart clase de WordPress all students of any of the Masters Courses Pmasters I teach in the class of Digital Marketing. To do this, Pmasters has given us the Classroom 2 for Thursday July 21. Hours are from 9 am to 1 pm. To attend this class, confirm attendance via the intranet of Pmasters as places are limited to 50. Creating the basic sections of a corporate website. A hosting in that you can host the web, I recommend to www.sync.es why your control panel is simple and easy to handle (but any will do). The hosting should be as simple that you find with PHP and mySQL (it is important to allow the creation of a database). The cost of this type of hosting is between 40 euros and 60 euros per year (depending on ISP). For example, this hosting: http://www.sync.es/hosting/virtuales-linux100.php. In www.CDMon.com they also have a well priced hosting also, and comes preinstalled WordPress ... so save a lot of work to students (https://www.cdmon.com/cas/hosting/alojamiento-web/) See "Junior" and "Senior". The domain can also be purchased at the same company. Students should already arrive with an FTP client installed on your computer (I recommend Filezilla is free and can be downloaded from Softonic) There is a version for Mac and PC. For students who wish to follow the class, but do not need to have a professional web and learn prefer a free blog, I recommend you sign up www.wordpress.com and have their own blog. This way they can follow the second half of the class, when we explain how it works from within WordPress. Some features are disabled, but others do ... so at least we can begin to see how they could have their own website, without having to make an initial investment in buying a domain and hiring a hosting. Well, that's all. Please, do not forget to confirm your attendance. 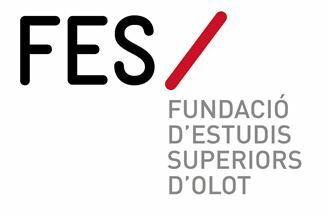 Yesterday I had the pleasure of giving the last session course organized by WordPress FES Olot (Higher Education Foundation of Olot). As usual, the course was tough, especially the first day. Getting everyone to connect to their computers and then get each person finishes installing a WordPress, is not easy. But we got it in most cases. The second day was much easier working with WordPress, we only had to go down to focus on themes and plugins, to go transforming the basic structure of WordPress blog, a corporate website. Now it is necessary for students to practice on their own and go see other pages created with WordPress for inspiration looking at other ways to organize the pages and other ways of presenting the value propositions of each company.